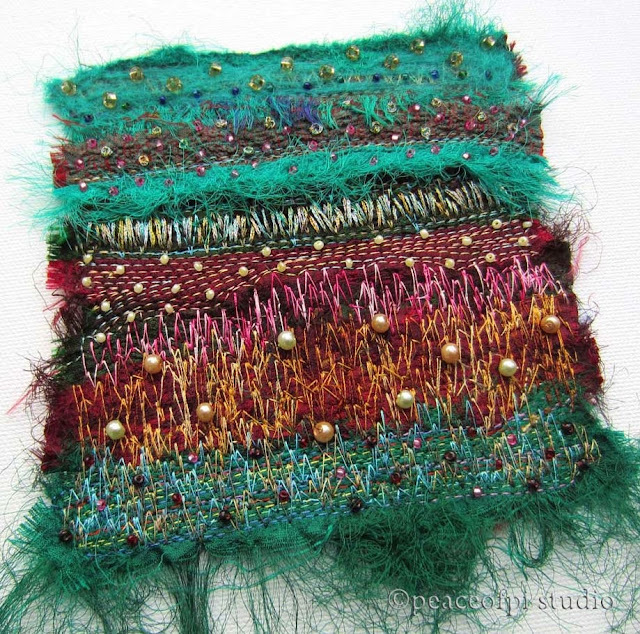 Inspired by open grassy fields and fertile arable land, this fiber art quilt features silk fabrics with hand beading and free-motion embroidery stitching. The title of the piece, taken from poet Thomas Gray's renowned Elegy written in 1751 is slowly o'er the lea, hinting at rest and the slow contented pace that nature can provide. 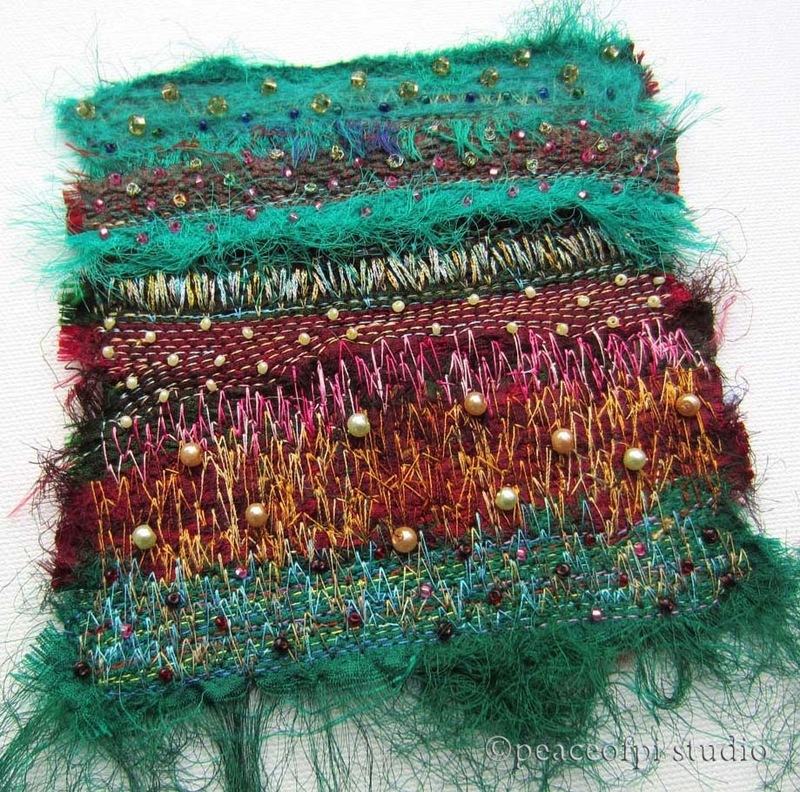 It's part of the Silk Threads series, fiber art quilts created using sari silk remnants. This quilt is the ninth in the series.